New Guest Artist this month! 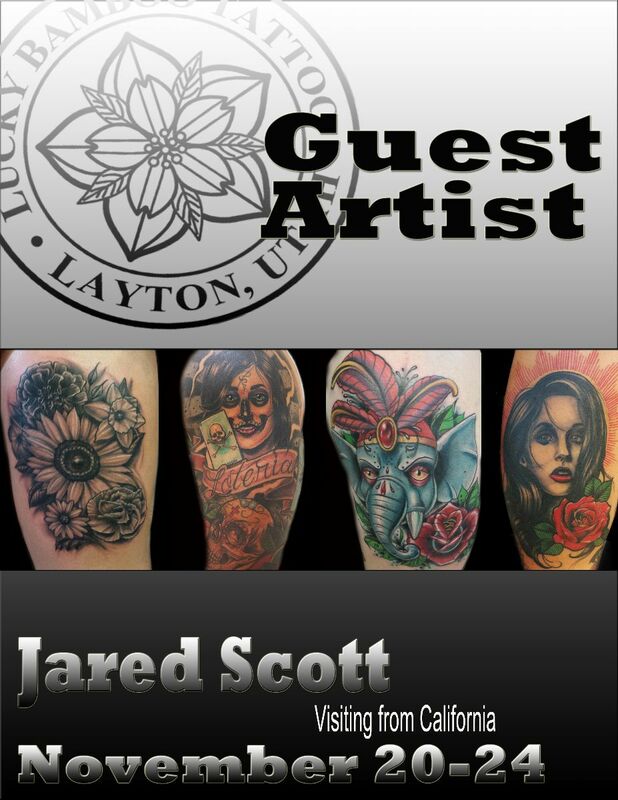 Jared Scott will be guest spotting this month from November 20-24th! He is coming out from Orange County, CA. You can check out more of his work at https://www.facebook.com/media/set/?set=a.10153719051246228.1073741843.40243601227&type=3. Don't miss your chance to book with him, give us a call at the shop to set your appointment up today!